At the time he was Director of Business Development for the Greater China Region. John describes how went on to found the organisation Room to Read. This Big Think video was shot at a talk he gave at The Nantucket Project. You can read more about that regular gathering here. Below is an excerpt from the official introduction to John’s talk. In 1998, John took a vacation that changed his life. Trekking through a remote Himalayan village, he struck up conversation with a schoolteacher, who invited John to visit his school. There, John discovered that the few books available were so precious that they were kept under lock and key – to protect them from the children! This led to him creating Room To Read. Below is the organisation’s story. This is taken directly from their site. Over 60 million primary school-aged children around the world do not have access to education and most likely will never learn to read or write. Room to Read believes that all children, regardless of gender or background, have a right to education. By empowering children through this lifelong gift, we see a world in which people are able to realize their full potential. 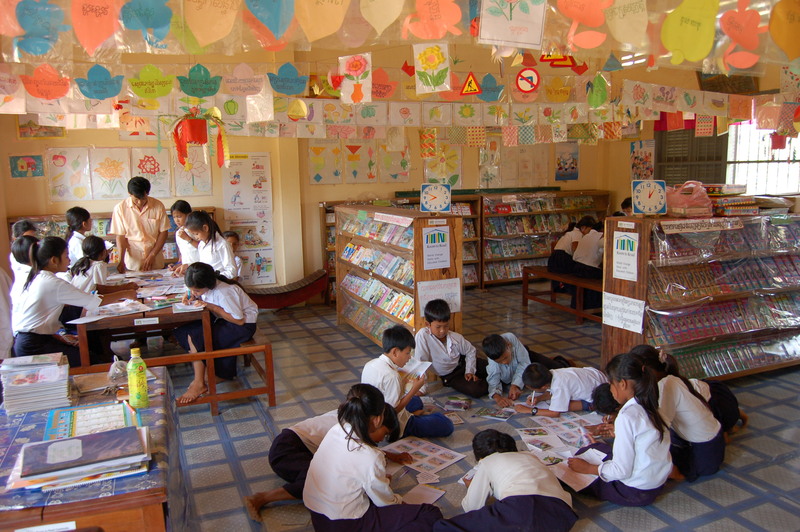 Room to Read had its humble origins in Nepal in 2000, where we began bringing donated books to rural communities. Today, we are a global organization dedicated to promoting and enabling education through programs focused on literacy and gender equality in education. We achieve this goal by establishing school libraries, building schools, publishing local-language children’s books, training teachers on literacy education and supporting girls to complete secondary school with the life skills necessary to succeed in school and beyond. Room to Read’s programs have benefitted more than 7.8 million children so far and we are on track to reach 10 million children by 2015. Imagine a world in which every child has access to an education. Room to Read is doing our best to make this dream a reality, one child at a time. Below is a video about the work of Room To Read.